Author K.C. 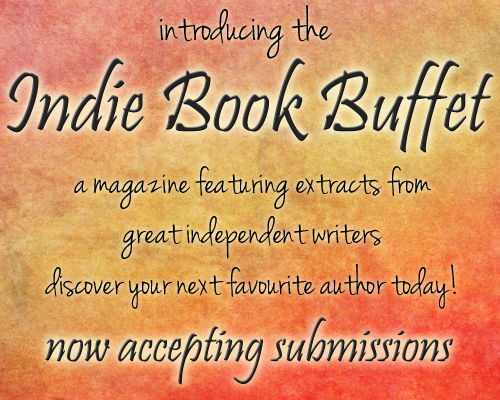 Finn - The Proverbial Raven: New Magazine - The Indie Book Buffet - Now Taking Submissions! Find information about the published works of author K.C. Finn as well as blog updates, reviews and articles. New Magazine - The Indie Book Buffet - Now Taking Submissions! Want to hear about the best new independent books and read exciting extracts of them before you buy? Want a convenient digital magazine organised by genre so you can discover all your new favourite books in an instant? Want all that absolutely FREE? Then look no further than the Indie Book Buffet - coming August 1st to HP Magcloud and PDF direct download exclusively from this blog! Be sure to follow The Proverbial Raven or editor K.C. Finn at Goodreads to be informed of its release! Want to show off your books to a brand new audience looking for something new to read? Want to have your extract, book cover, links and details published? Then hurry up and submit to the Indie Book Buffet using this link. Submissions for the August 1st edition will close on July 21st! Anything submitted after that date will be kept for next month's edition. IBB First Edition is OUT NOW! Now you can follow me with Bloglovin!